Looking for a fun, stimulating way to spend a couple of hours? Then Cosmic Cavern is the place for you! Discovered in 1845 by a prospector looking for lead, and often being referred to as “Arkansas’ most beautifully decorated cave,” Cosmic Cavern offers a unique and priceless blend of history, nature and wonder. Take the roughly one hour and fifteen minute guided tour down over 400 ft. below ground level, and experience what it’s like to be deep down inside the belly of our miraculous planet Earth. 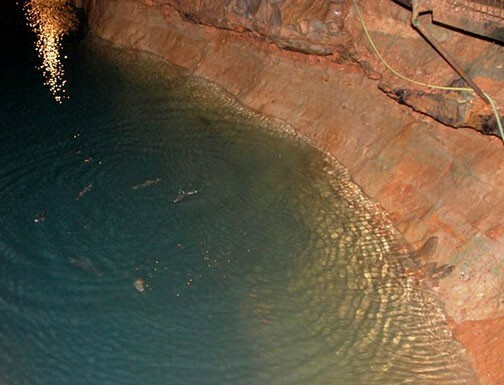 From the rare soda straw formations and bottomless lakes, to the blind cave salamanders and transparent cave trout, Cosmic Cavern offers a unique and breathtaking environment that is certain to leave you in absolute astonishment. After the very comfortably paced 1/3 mile tour, guided by highly knowledgeable and extraordinarily friendly staff , be sure to visit the gift shop where you can view and purchase rare crystals, minerals and gems, along with other souvenirs such as t-shirts, key chains and much more. Located between Eureka Springs, AR and Branson, MO, Cosmic Cavern resides at a perfect central location, easily accessible from anywhere in the Ozark’s and surrounding areas. Because of the high humidity, the constant 64 degree temperature inside of the cave feels much warmer. Heavy clothing is discouraged, so instead of bringing a jacket…bring a camera! Cosmic cavern is a true and amazing wonder of the world, one which after visiting will leave you feeling humbled, aware and extremely appreciative. CLICK HERE for directions and more information on Cosmic Cavern! 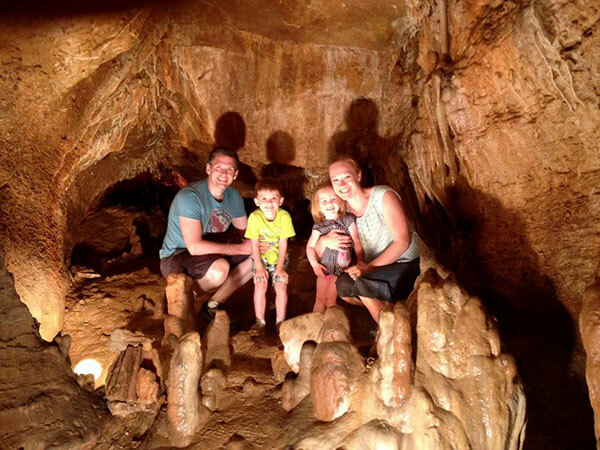 This entry was posted on January 14, 2015 by estcblog in The Great Outdoors, Things to Do and tagged caves, Cosmic Cavern, Eureka Springs Cave, natural wonders, springs.